Happy Valentine's Day! It's the last "official" day of the Fabric Printing at Home Blog Tour. I've thoroughly enjoyed myself...thanks for all your great comments, discussions and ideas! Today, we're heading over to Jackie Lam's blog. Jackie is also a member of The Printed Fabric Bee. Every month, I'm so impressed by the artistry of her fabrics which often contain beautifully hand-drawn elements. Recently, I found out that she is also the mother of 3 and now 4 young boys! I hear that they had a hand in her blog post today. I have been a mixed media artist for 10 years and a graphic artist for almost 20 years. 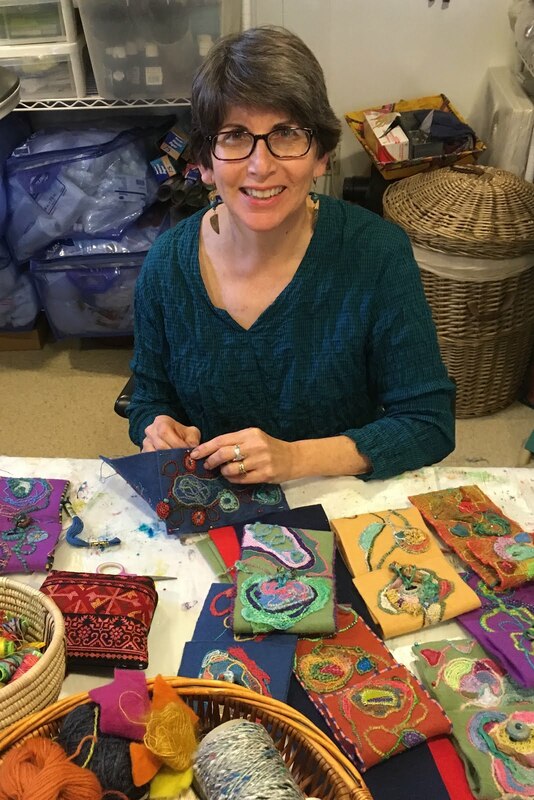 My non-traditional cloth and mixed media creations incorporate hand dyed, recycled & vintage fabrics. I love drawing & painting, hand & machine stitching, Thermofax screen printing, and whatever else sparks my imagination. The fundamentals from which I create my pieces are a studio art degree from Michigan State University and a graphic design degree from Lansing Community College. For the last several years I’ve been busy combining my art world with a growing family which provides me with a wealth of inspiration for my work. You can see more of my creations and adventures at my website www.studiolams.com. 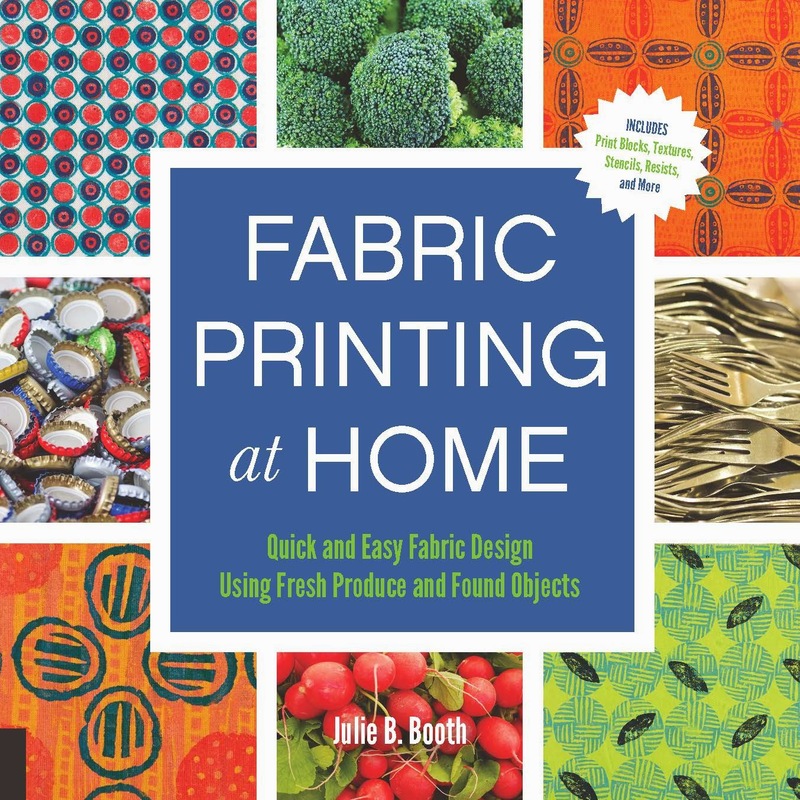 Be sure to stop by Jackie's blog today and leave a comment for a chance to win a copy of Fabric Printing at Home. 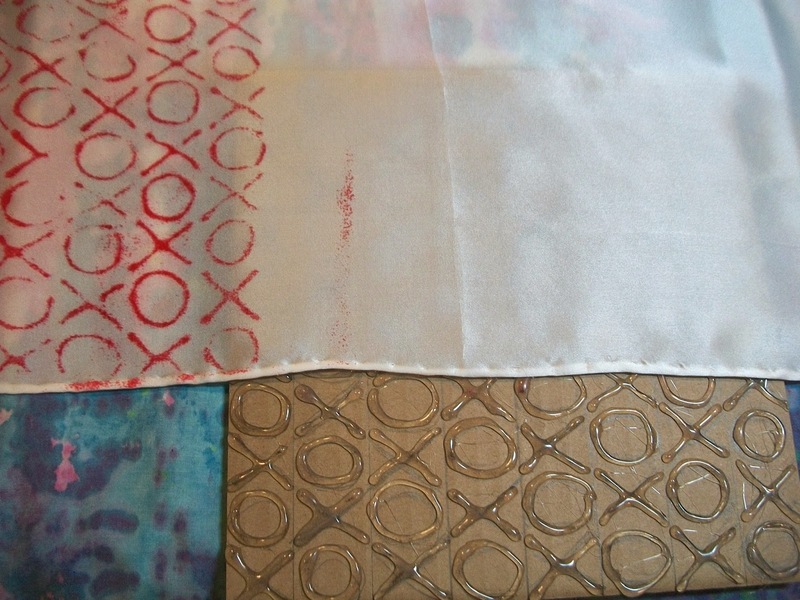 In honor of Valentine's Day, I'm going to show you how to print a "hugs and kisses" silk scarf using one of my favorite types of print blocks... hot glue on cardboard (see How to Make Hot Glue Blocks pp. 80-81 in Fabric Printing at Home) . 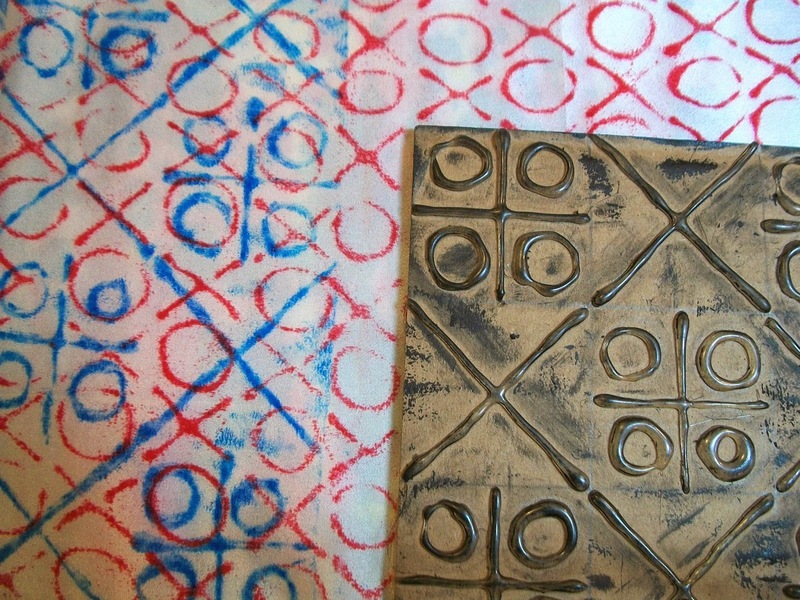 For this project you'll be making hot glue brayer rubbings (see Printing Three Ways on p.30 in Fabric Printing at Home). 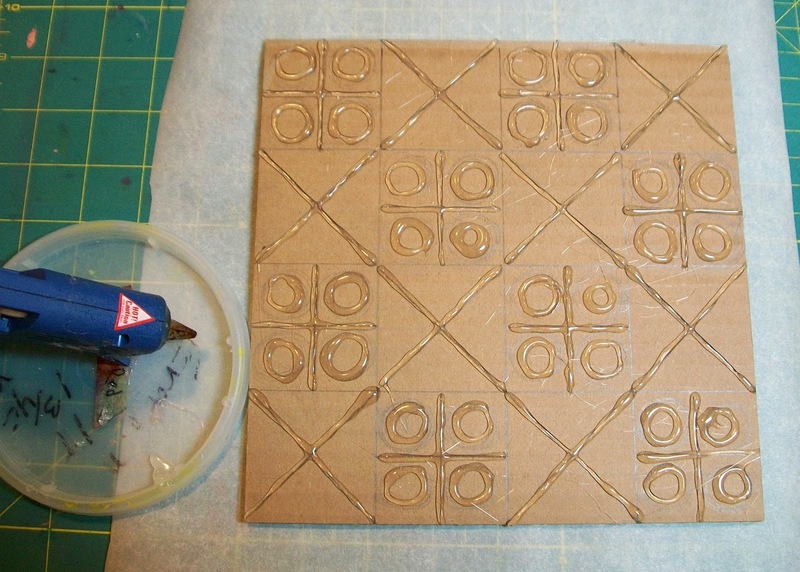 To make the blocks you will need: Corrugated cardboard, pencil, clear gridded ruler, self-healing cutting mat, craft knife (I used an X-acto), hot glue gun, extra glue sticks. 1. Use the craft knife to cut two squares of corrugated cardboard the width (short side) of the scarf. The scarf I used for this project was 8" wide so I cut two 8" x 8" cardboard blocks. 2. 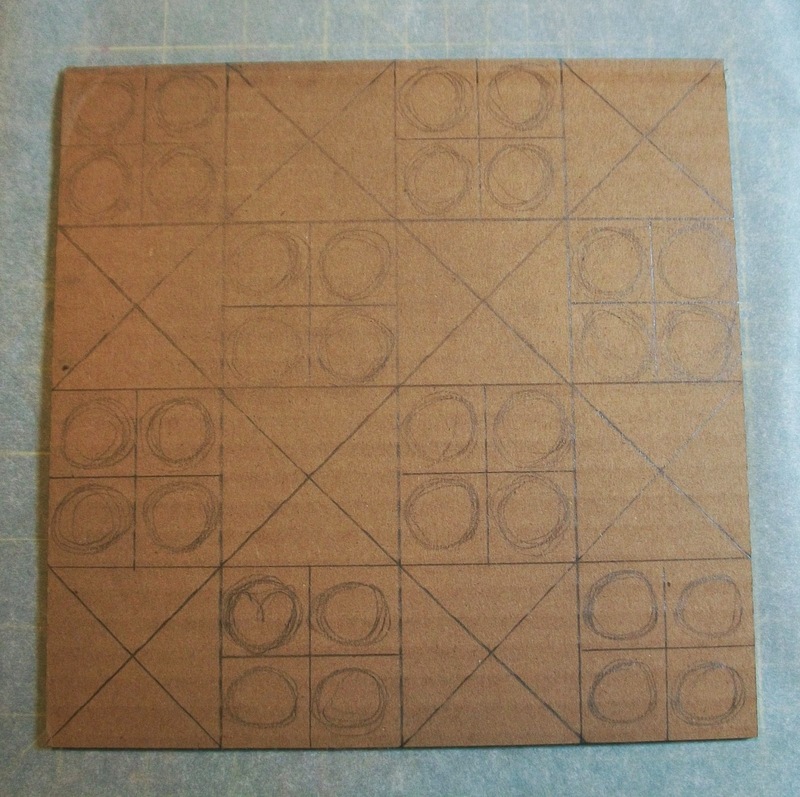 Draw designs on the cardboard. I came up with two variations on XOXO designs. 3. Insert a glue stick into the hot glue gun and turn on the gun to melt it. Be very careful not to touch the tip of the gun or the hot plastic "glue." 4. Follow the drawn designs on the cardboard. I usually hold the glue gun approximately 1/16" off the cardboard. Squeeze the trigger of the hot glue gun and release it at regular intervals to keep the heated plastic "glue" flowing. To print (brayer rubbing) the blocks you will need: The hot glue blocks, silk scarf (I used a 8" x 54" 12mm silk satin scarf), flat work surface that can accommodate the scarf's dimensions (cover with padding and plastic) 2 colors of transparent fabric paint (I used red and blue), plastic containers and plastic spoons, glass or plexi-glass palette, dense foam brayers (I like Rollrite), paper towels. 1. Lay the scarf on the covered flat surface. Place one of the hot glue blocks under the scarf. 2. Spoon 1/4 teaspoon of red transparent fabric paint onto the glass palette. Roll the dense foam brayer over the paint until it is evenly coated. Add paint to the glass palette a little at a time as needed. 3. 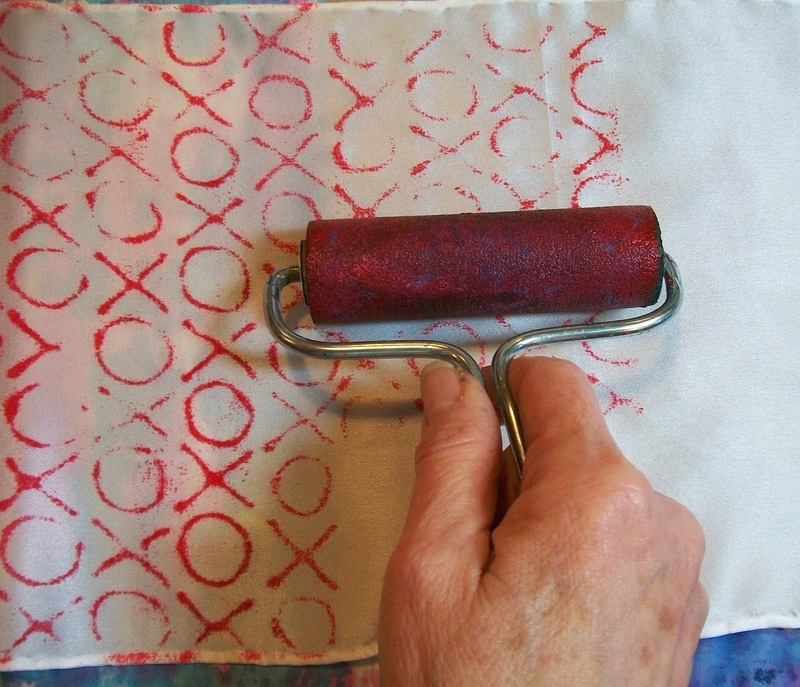 Carefully roll the paint-covered foam brayer over the silk covering the block. Shift the block to another spot and continue until this first design covers the entire scarf. 4. 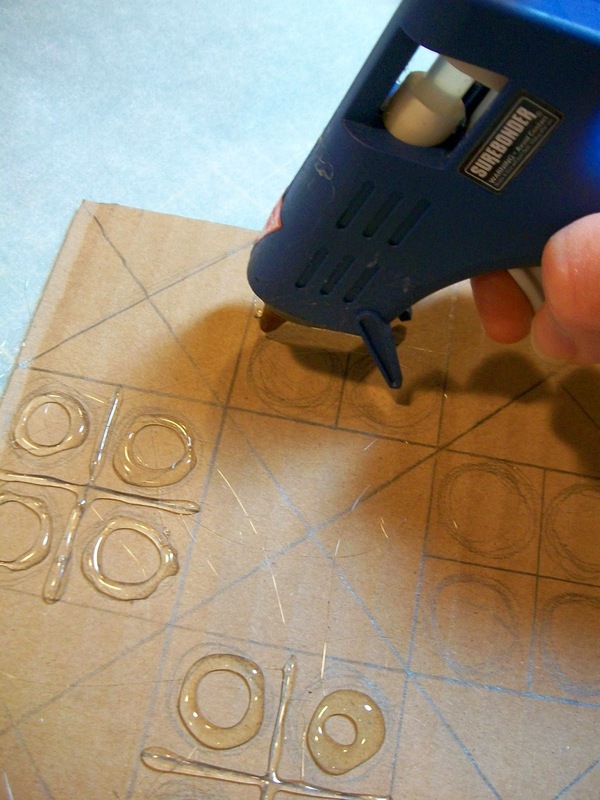 Repeat the process using the other hot glue on cardboard block and the blue paint. For more ideas and Valentine's scarf designs go to Issue #25 of Julie B Booth Surface Design News, my free monthly online newsletter. 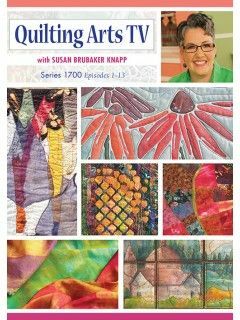 For projects using the kitchen as your surface design on fabric resource, please sign up and the newsletter will appear in your email mailbox once a month (sign up in right-hand column of this blog). Today is the last chance to leave a comment to be eligible for the book drawing. I'll take comments until midnight (Eastern USA time). Tomorrow at noon, I'll do the final drawing for a free copy of Fabric Printing at Home: Quick and Easy Fabric Design Using Fresh Produce and Found Objects. And now for the winner of yesterday's giveaway (one yd of Kona PFD)...congratulations to Kathy Davis! Please email me with your contact information (threadborn@cox.net) so I can send off your prize. Julie, I have really loved your book blog tour. 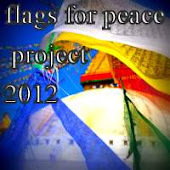 It has been a feast of inspired learning, both from you and your tour participants that I looked forward to each day. Thank you so much for writing your book and the many chances to win a copy. While I am yet hopeful of a win, it has become a 'must get' addition to my library. Hi Lydia-Thanks so much for your comment. I've also enjoyed this tour immensely. I was so lucky to have 13 innovative artists helping me to make it such a success! Good luck and hope you win a copy of the book. Thanks Joanne! It's been SO enjoyable for me! Hi Marcia- I'm sorry that it's ending too...with the exception that it might be nice to veg out (no pun intended :) ) in front of the tv for an evening! Thanks Jan! Good luck with the drawing(s) over the next few days! A great technique - I'm sure I have an old glue gun somewhere!! I love hot glue blocks! There's so much you can do with them! You're welcome! Thanks for participating in the Tour! What a marvellous blog hop and so many opportunities to win a copy of your book Julie. Good luck Maya! Thanks for your comments. Hope you're joining in on Roy this coming week...I have to go find my orange! Inspired once again. Thank you for sharing your wonderful ideas, and for the chance to win your drool-worthy book. :-) Happy Valentine's Day!!! Happy Valentine's Day to you too, Carole! I've so enjoyed this. Good luck! I have really enjoyed the blog tour and I'm going to have to try making that neat scarf! Thanks! Hi Connie..Happy you've been having a good time on the Tour! Enjoy making the scarf. A great tutorial. I need to practice glue gun designs to get more even application. Thank you! Hi Nancy- Don't worry too much about the even application...that's the beauty of the hot glue block...very organic. Julie--please delete my previoius comment. It was a quotation that got pasted into the comment box by mistake! Sorry, sorry! Thanks again. I picked up a silk scarf that someone had clearly dyed at home at a thrift store. It needed "more", so this will be a great technique to "finish it". Great...send me a pic when you've finished it! I hate that this is the last day of the tour. Have enjoyed it much. You and your reviewers have compiled some really great ideas and I can't wait to see what's in the book that hasn't been covered. Hi Brenda- Still much to read and do in the book...hope you will buy it if you don't win it! Awesome blog hop thanks for the wonderful ideas. Hi Norma- Thanks for stopping by the Tour so often with your thoughtful comments. Look forward to seeing what you do with some of the printing techniques you learned. cheer from me.....I have lots of ideas from all this inspiration now.